In the wake of the recent Grenfell tragedy more and more information has been shared about the dangers of Aluminium Composite Material (ACM), but is it enough? In November 2014, a fire raced up the exterior of a building in Melbourne’s Docklands within minutes thanks to the flammable aluminium cladding. 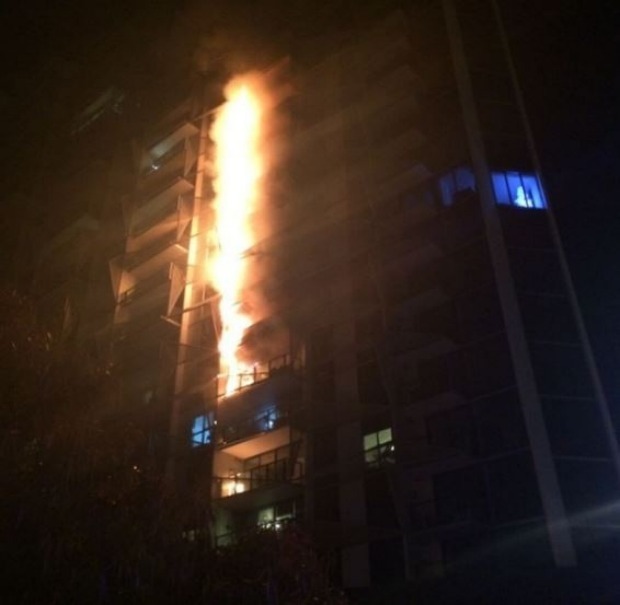 It was lucky the weather conditions in Melbourne did not further feed the fire, and the building had sprinklers installed, which in turn, did not fail. Sadly, Grenfell did not have sprinklers installed. ACM became popular within the building industry due to a number of factors that were probably hard to ignore. It is versatile, lightweight and has strong green credentials. It is an easy way to restore older buildings and in some cases, specifically cladding with polyethylene (PE) core, was also cheaper than alternative materials. But this price saving came at a risk – the cheaper PE core is highly flammable. It remains to be seen why it took so long, and such a tragedy, for us to talk more about the serious dangers of aluminium composite cladding. And in some ways is it a case of too little too late? countless of buildings affected by non-conforming building materials. A small audit completed in Melbourne by the Victorian Building Authority (VBA) following the 2014 fire went someway to indicate the extent of the problem. The audit had a sample size of 170 buildings. The result uncovered that around 51% of those building had some form of non-compliance with the Building Code of Australia. What happens next is really unclear and no final decision has been made. Most states have begun audits to identify buildings that have flammable cladding, but each states approach is different and some may be lacking any discussion on replacing the flammable cladding. And the question remains – who will pay for these replacements? The issue with ACM is multi-faceted and it has effects on both the private and industry sectors. The effects in industry are felt by not only the building industry, but also the banking and insurance industries who finance and insure these buildings. If you suspect a building you own and insure may be clad with ACM / ACP, we strongly recommend that you contact your Account Manager for advice on how to proceed further.